“The Favourite” lived up to its name until the last minute at the EE British Academy Film Awards, which were presented by the British Academy of Film and Television Arts (BAFTA) on Sunday in London. But in the homestretch, “Roma” director Alfonso Cuarón won the best director award, and then his black-and-white memory piece was named 2018’s best picture. “The Favourite” settled for seven wins, by far the most of any film. Yorgos Lanthimos’ twisted period drama won for lead actress Olivia Colman and supporting actress Rachel Weisz, as well as awards in the original screenplay, production design, makeup and hair, costume design and Outstanding British Film categories. In addition to Best Film and Best Director, “Roma” won in the cinematography and Best Film Not in the English Language categories. The win capped a wild weekend for Cuarón in which he did a Q&A in London on Friday evening, flew to Los Angeles on Saturday for another Q&A and for the American Society of Cinematographers Awards (where he lost to “Cold War”) and then returned to London for the BAFTAS on Sunday. 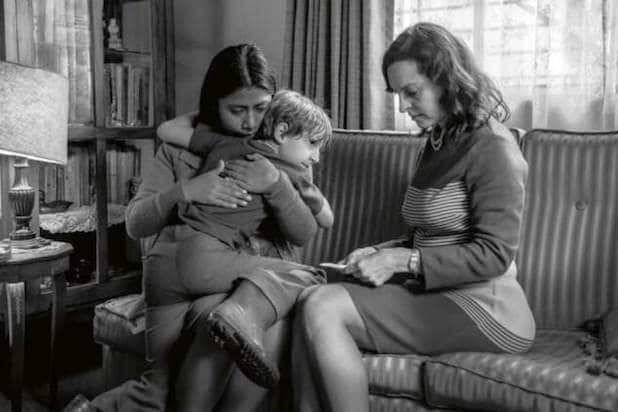 In a tightly competitive year at the Oscars, the win for “Roma” adds to an awards resume that also includes wins at the Critics’ Choice Awards and Directors Guild Awards, keeping the Netflix film in the running as one of the leading Oscar contenders.